Pro Cool Heating and Air, Inc. Cool Dr. Heating & Air, Inc.
Just exactly how the city of Atlanta earned the nickname "Hotlanta" is up for debate. Some claim it's because of a thriving music scene that has become a breeding ground for hip-hop artists, as well as rock, pop, and folk music stars. Others claim it's because Atlanta has been one of fastest growing cities in the U.S. since the turn of the millennium. Then again, sometimes the simplest explanations are best. It might not get as much press as other hot spots like New Orleans and Miami, but Atlanta is no slouch when it comes to hot, humid summers. Record highs in Atlanta have topped 100 degrees every month June through September, and temperatures of 90 degrees or more have been recorded in April, May, and October. All that adds up to one thing: Atlanta air conditioning is a top priority for A-T-L homeowners and needs to be kept in tip-top condition. We'll get to suggestions for purchasing the right air conditioner in a moment, but first, let's take the opportunity to discuss what's at the top of every Atlanta homeowner's need-to-know list: cost. HomeAdvisor has provided thousands of contractor referrals for homeowners across metropolitan Atlanta, and we follow up on each and every one to ensure our customers are getting the best quality service from our contractors. From the information we gather from those surveys, we're happy to provide you with a reliable estimate of what an average air conditioning installation in Atlanta is going to run. Based on our data, an average A/C installation in Atlanta runs about $4,100, with high and low numbers coming in at $9,000 and $1,100, respectively. Why the huge gap between the extremes? There are a number of factors that influence how much air conditioning in Atlanta costs to install, including the price of the unit, the size of the home, and whether the home is "A/C ready" or needs appropriate ductwork installed, as well. 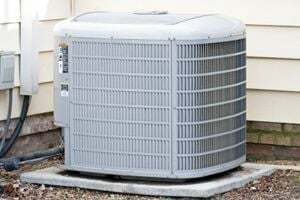 The place to start when it comes to finding an air conditioner is to pay attention to SEER ratings. All air conditioners manufactured today have SEER ratings of 13 or better, though units with ratings as high as 20 are available for purchase (the higher the SEER rating, the more efficient the A/C). In a climate like Atlanta's, where homeowners can run air conditioners for six months out of the year or more, you're wise to go with the highest SEER rating you can afford. Why? An A/C with a SEER Rating of 13 is 30 percent more efficient than one with a SEER rating of 10, and up to 50 percent more efficient than units with SEER ratings of 6 or less (not uncommon in air conditioners that are more than 15 years old). Translate that into dollars and cents, and you'll find that you can save hundreds of dollars a year on your electricity bill with a high-efficiency unit. And if you'll get those kinds of savings by upgrading to a 13 SEER unit, think about what an A/C with a SEER rating of 20 or more will do for your wallet. Just as it's no secret that venturing outside on an August day in Atlanta is a little like being thrown into a pressure cooker, it's also no secret that air conditioners aren't inexpensive to run. In fact, it has been reported that 5 percent of the energy use in the U.S. each year can be attributed to residential air conditioners alone. Of course, for Atlanta homeowners, your air conditioning is going to account for a lot more than 5 percent of your annual energy bills from your utility company. It?s important to talk to contractors in-depth about how much energy your air conditioner will use. You may experience some sticker shock when you see the difference in installation cost between basic units and highly-rated energy-efficient units. Yet, the monthly and annual savings from these highly-rated units are just as likely to catch your eye. Installing air conditioning in Atlanta with a high SEER rating is a waste of time if it isn't done correctly. Improperly sized units, poor installation, and overlooked leaks in your home's ductwork, can easily negate any energy savings you were hoping to enjoy. Most homeowners don?t realize it, but you should install the smallest possible A/C system. Ideally, your air conditioner would run continuously, sapping moisture from the air and allowing warmer ?absolute? temperature to feel more comfortable through low-moisture ?ambient? temperatures. Thus, hiring an experienced contractor is a vital step in ensuring your new A/C cools your home properly and as efficiently as possible. If you're ready to install air conditioning in Atlanta, or need to replace an older unit that's seen better days, contact at least three contractors who specialize in air conditioning installations to get bids on the job. That's a good rule of thumb wherever you live in the U.S., but it's even more important in Georgia, where contractors aren't required to obtain licensing to operate. Comparing multiple bids, and checking up on references, is the only way to ensure you get the best deal, and the best contractor, for your Atlanta air conditioning installation. Comment: Need the âTRAINâ system checked as to why it wonât continually blow heat when on. Comment: I would just like a maintenance check of my air conditioner. The Middlebrooks Heating & Air Conditioning, Inc.
Atlanta HVAC & Air Conditioning Contractors are rated 4.78 out of 5 based on 2,917 reviews of 71 pros. Not Looking for Air Conditioning Contractors in Atlanta, GA?